For the first time since 1997, I'm motorcycle-less. I hope I can survive it! Just a temporary deficiency I hope? Hard to say. I've moved to a part of the country (Tampa Bay) that isn't conducive to motorcycling. We'll see, I guess. Roads with little elevation change and minimal curves. Best year round motorcycling I've experienced has been in California, though I'd rate Georgia and Tennessee close seconds. 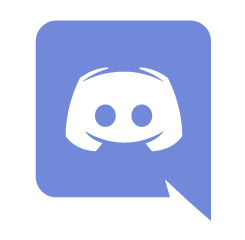 Sorry man, just saw this. Ladies and gentlemen, this is the Harley Davidson that caught my eye. Possibly my time with FFXV gave me a greater appreciate for a more chunky design. No clue what model it actually is, but I like it. Ahh, a V-Rod, they are a good bike from what I have read, more modern aesthetic and decent power and handling. 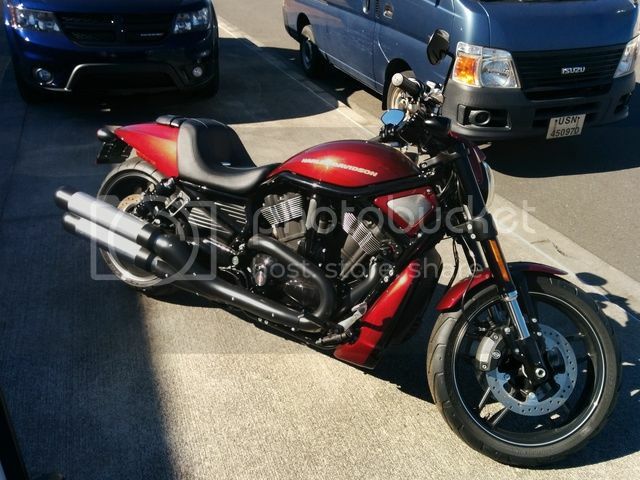 I was thinking of going with a Victory Gunner for my next bike, I just paid mine off last month, going to wait a year before getting a bigger bike with a 6 speed, but Victory is dead now. I kinda like the Indians, but not their big fenders. Yeah, was pretty sad to hear about Polaris killing the Victory brand in favor of Indian. Victory was such a love it or hate it look, but I liked'em. I mean, I like the looks of the Scout, but I feel like the Indian brand should just rest in history, unless you are going to legit bring back the original designs. Do something like what Ural and Royal Enfield did and keep the same form and design, but update the materials. Agreed. From my limited perspective, Victory was gaining in respect and prestige over the years - building solid bikes (without the reliability issues of HD) that had good looks. Clearly their internal sales numbers told a different story. I have a Honda Shadow ACE now, but was thinking about getting a Victory Vision as more comfortable alternative for the missus and I to take on longer trips - not sure what to look at now. 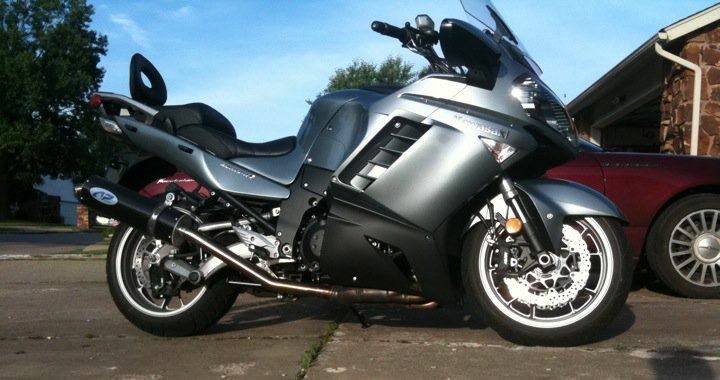 So now I am thinking of selling my motorcycle and being done riding. Yesterday I was riding home after working on a Habitat for Humanity home and some guy in an SUV passed me right at the end of a lane merge going into the opposite direction traffic to do so, then at the next stop light starting purposefully backing up towards me(he was nowhere near an intersection, there was a car ahead of him) and then when I switched lanes after the green light, drove halfway into my lane before getting onto the highway. I am prepared/always watching for distracted drivers, but when someone purposefully tries to hit me, multiple times? I'm done. Wear a GoPro (or mount one on the bike). Make sure it's angled to be able to catch the license plate. Then report the driver to the Po-Po and pursue an "Assault with a deadly Weapon" charge. Arise! Anyone still rides around here? 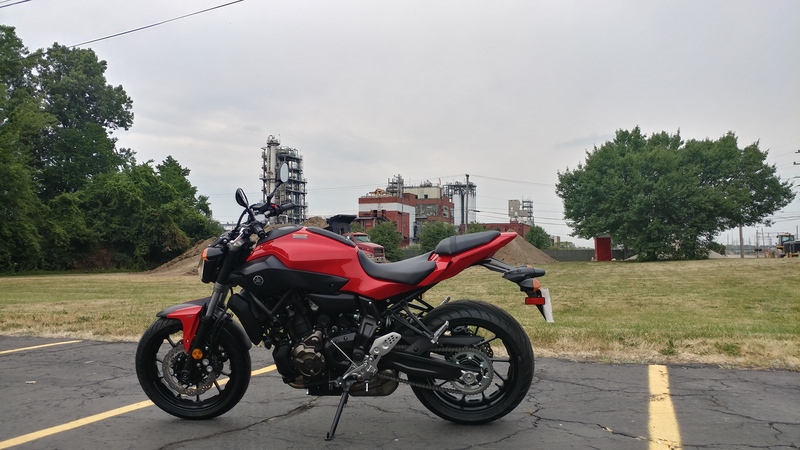 I just picked up an 2017 FZ-07 last weekend. Very big difference between my cruiser and this. I'm trying to sell my bike actually. Especially after the guy in the suburban last year who faked like he was gonna hit me, I have just lost interest in riding. Arise! Anyone still rides around here? First, that is a wicked fun bike to ride! I ride everyday there is no snow on the ground in Illinois. Wife and I do a lot of weekend rides also. 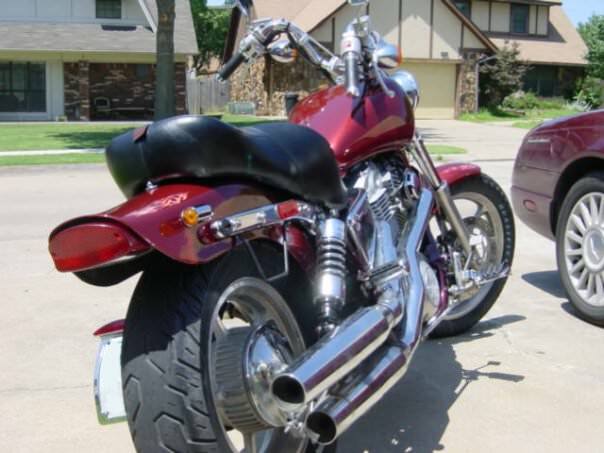 Here is the current state of my 1996 Kawasaki Vulcan 1500 Classic. Lots and lots of chrome! I was so close to pulling the trigger on a new Harley Ultra Classic, but ended up buying my wife a new car instead. Ugh priorities. Nice bike! 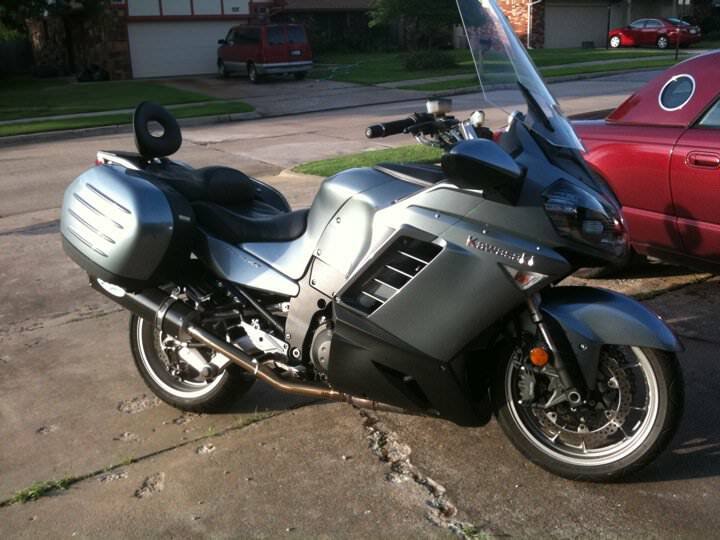 I'm glad I was able to keep my 05 V-Star 1100 too, I still enjoy the cruisers for longer rides. I recently gave away my '89 Shadow VT1100C. Bought it new on July 3rd, 1989 and put over 50k miles on it. It was having some engine issues and sitting there taking up space in my cluttered garage so I gave it to a buddy since he and his early 20's son were looking for a bike to work on together. I miss it, but it's in the right place, now. Before I had the Shadow, I rode bikes my Dad and Step-mother had and before that it was mini-bikes. So, first time since '74 that I haven't had a bike to ride. I bought a 2008 1400 Connie ( Kawasaki Concours ) back in 2009 ( I think ) with 4k miles on it. The previous owner had done quite a few improvements to it. Holy sh*t, what a bike. I'd mainly been on V-Twins so this was a huge difference. When we bought the new house in May of 2012, I needed $$$ so had to sell it. I want it back. Ignore the "flames". They were on there as a joke for the pic. Pic taken in '09, I think. Originally Wineberry(?) color and repainted a copper color I got off of a Z3 a coworker owned. So after nearly 3 months, my Yamaha FZ6R is finally back to being road-worthy, maintenance-complete, and fully insured. Being in the military, you get used to stuff being banged around by military movers when you're transitioning from station to station, but I have to say that dropping a shipping container on the front end of my bike was a bit much. Still, many dollars later from the shipping insurance company and she's back ready to ride! On a different note, I had originally planned to sell my bike when I arrived back in the USA, with a plan to buy an Indian Scout Bobber. That plan was put on hold due to the repair, but I really think I may reconsider buying the Indian. I was really put off by two things: the feel of the Indian's engine (far different to my Yamaha), and the fact that the dealership has attached about $2500 in additional fees (one of which is a $1500 "dealer fee") to the bike. The salesman told me that it was a "hot bike" but somehow they've been calling me weekly for the last two months trying to sell me one, so I can't imagine it's that hot. If customers are really beating down the door for the bike, then I don't think they'd be calling me so much. On the whole, I think the dealer fee thing pisses me off, and that's the real barrier. Ironic that their decision to try to squeeze more money out of a sale has (in my case, at least) cost them the entire sale. I so have my eyes on a Ducati cafe racer. I really need to sell my Shadow. It's been ridden once this year and that's when I took it out of storage this past spring. I just have absolutely no interest in riding anymore. I understand inattentive or distracted drivers, but when you purposefully try to hit me? Yah, I want to go home to my wife at the end of the day.